Maxi-Lift's Buckets come in different sizes. 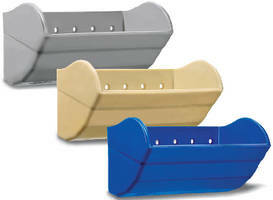 Stackable, Durable Elevator Bucket reduces storage requirements. Elevator Bucket handles severe agro-industrial uses. 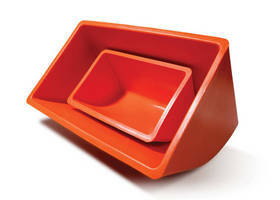 Elevator Bucket comes in high-capacity sizes. 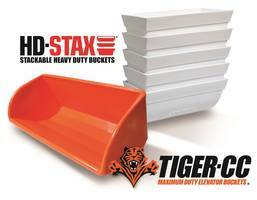 Engineered with thick walls and corners, Tiger-CC maximum duty elevator buckets come in 13 sizes from 12 x 8 to 28 x 10. Largest size carries up to 30,000 bushels/hr (bph) inÃ‚- single row, and buckets also allow forÃ‚Â double row 60,000 bph elevator. Other arrangements allow for capacities of from 10,000–75,000 bph. 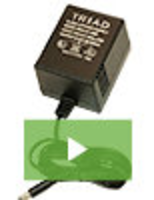 Elevator Bucket operates at up to 940 fpm. 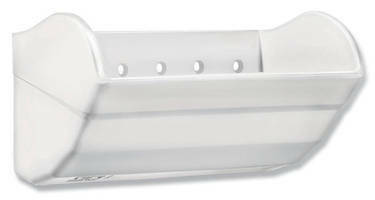 Measuring 20 x 10 in., Xtreme Duty CC-XD Elevator Bucket is reinforced with 5/8 in. thick front lip and has 1,056.6 cu-in. capacity. Distinctive breaks on bottom of bucket provide optimal product trajectory. Available in polyethylene, nylon, and urethane, bucket is suited for applications such as grains, feeds, fertilizers, seeds, salts, and sand. 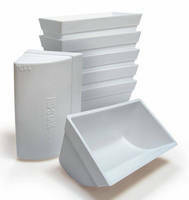 Style AA Buckets are manufactured from virgin resins. 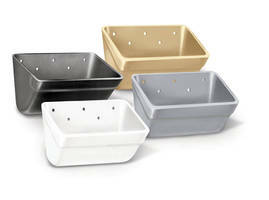 Style CC-XD Elevator Buckets come in four 7 in. sizes. 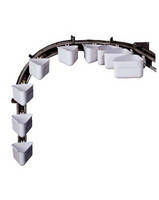 Nylon Elevator Buckets are FDA compliant. Injection molded from high grade prime virgin resins for abrasion resistance and impact strength, food-grade nylon elevator buckets are compliant with FDA Regulations Title 21 CFR177.1500, CFR175.105, CFR178.2010, and CFR 177.300. High ear CC design and rounded front lip provide clean discharge with less damage to product.